The last time the Jewish News featured Steve Ballmer, in 2000, he had just become CEO of Microsoft, Bill Gates’ hand-picked successor. Fast-forward 18 years and Steve, 62, and his wife Connie, who live in Bellevue, Wash., return to Detroit and bring their experience and resources to join the comeback of Steve’s hometown. The Ballmers, who control the 18th largest fortune in the country, chose to target intergenerational poverty to improve economic mobility for children and families. Philanthropy focused on Detroit, however, did not come quickly to Steve. When he left Microsoft in 2014, he said he just wanted to chill, play golf and “see where life takes me.” Connie, involved in the family’s philanthropy that supported anti-poverty nonprofits with a focus on foster care children, eventually took him to task. It was time to give back, she said, and time for Steve to join her and scale up the family’s giving. The consequence of their focus resulted in the Ballmer Group’s announcement late last month of its first round of grants totaling $16 million. Each grant reflects the Ballmers’ commitment to Detroit neighborhoods and city residents. Steve, however, wasn’t sold at first on philanthropy’s value, he says. Didn’t they pay taxes and do so “proudly” so the government could take care of the disadvantaged? Ever the numbers guy who went to Harvard to become a math professor, Steve set out to prove he was correct. He created USAfacts.org, a $10-million website to help citizens understand government spending by the numbers. With the numbers behind him, he learned that philanthropies spend about $80 billion a year, a drop in the bucket compared to the government’s roughly $1.3 trillion. He discovered, however, as he reviewed philanthropy around the country and their own philanthropic work in Los Angeles, where Steve owns the NBA Clippers, and in the Pacific Northwest, that philanthropy had a unique and important role to play. Philanthropic organizations, not the government, start new ideas, run trials for new programs for the government to pick up and stimulate communities to work on their problems, he says, with government as part of the solution, but not the answer. Steve’s role was also clear. “We don’t come in and tell communities what to do,” he says, “but connect them to resources and expertise. We’re never going to be the experts in all the important areas.” But they can find experts and help a community focus on specific interventions and opportunities for improvement. 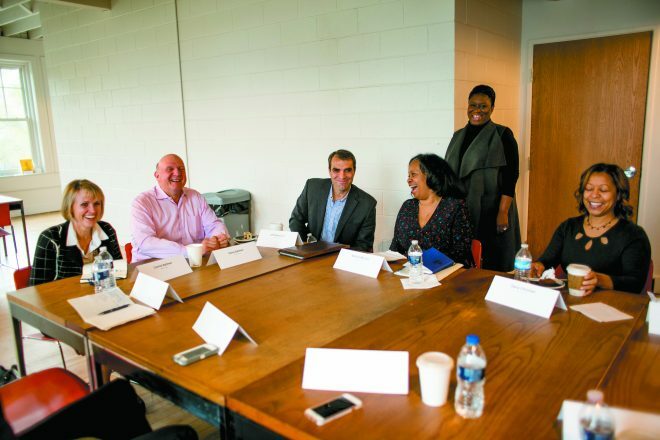 Ballmer grants support the mayor’s key Detroit initiatives: career and technical education programs, Grow Detroit’s Young Talent summer internship program and the Community Education Commission. While he’s excited about Downtown Detroit’s redevelopment, Steve has learned to live with two views of the city. Like his cousins and sister, who live in suburban Detroit, who love going Downtown to the symphony, to the Detroit Athletic Club and to sporting events, he says that’s great. “But I’m a native of this area and I roll my eyes,” he says, when people say the city has come back. 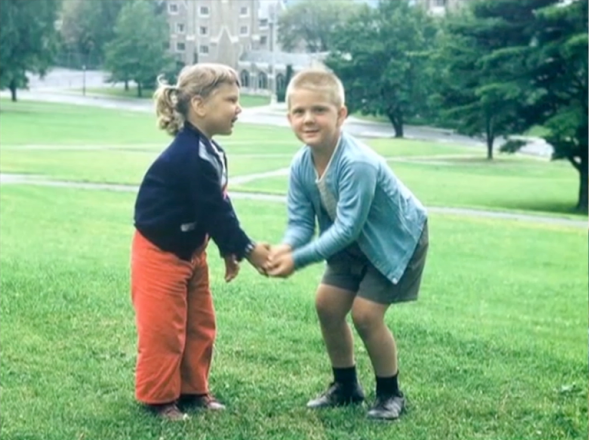 As a kid, Steve says Detroit was far more about the neighborhoods than Downtown. The question becomes how to think about the renewal of Detroit given such great things happening and some things that are still problematic, he says. He suggests driving up Grand River from Detroit to Farmington Hills. “You see all the important work that still needs to be done for the people who still live in Detroit,” he says and takes out his phone to look up the number: “673,000.” The mayor’s programs help 10-15 percent of the city. To help determine grant recipients, the Ballmers hired “local expertise” — Kylee Mitchell Wells, 39, of Southfield. She is executive director, working at the Ballmer Group Detroit office Downtown. 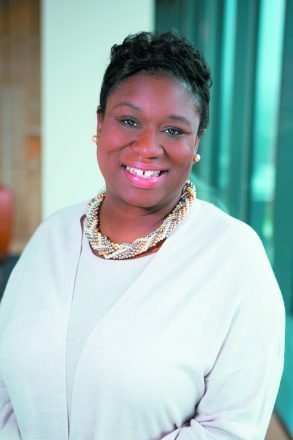 A Detroit native who “left and came back eight years ago,” Wells worked in several sectors, from corporate finance in Germany to Detroit’s Regional Chamber, to the city during the bankruptcy and nonprofit work at United Way. Her family still lives in their Detroit family home, and she leveraged many of her relationships in the city, she says, from the mayor’s office to the community, to learn effective ways of giving out “resources of this magnitude.” But the only way to address massive economic mobility, she says, is neighborhood by neighborhood. 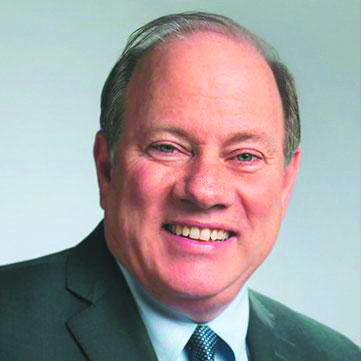 Wells is also involved in the Ballmers’ national leadership team that sets strategic goals and priorities for Detroit as well as L.A. and Washington state. Wells, a national urban fellow at Baruch College’s graduate school in New York and a fellow at Michigan State University, says working with the Ballmers has been “a whirlwind and so much fun!” One of the areas she introduced to the Ballmers was the poverty in neighboring suburbs like Warren, Inkster, Pontiac and Dearborn. It’s important, she says, to see common problems and to explore opportunities throughout the region. Steve explains the three categories of their inaugural grants: first, strong nonprofits that serve children and their families. These grants include support for healthy eating and education-oriented investments readying children for four-year schools or technical certifications that lead to living-wage jobs. Second, grants that support community groups to help them advocate for what they need. Third, Community Development Corporations (CDCs), community-based partnerships, managed locally, that draw support and expertise from businesses, nonprofits, communities and the government. A list of the Ballmer grants. A thread of violence in cities and countries permeated Steve’s past. His mother’s father from Belarus avoided persecution as a Jew in the tzar’s army. 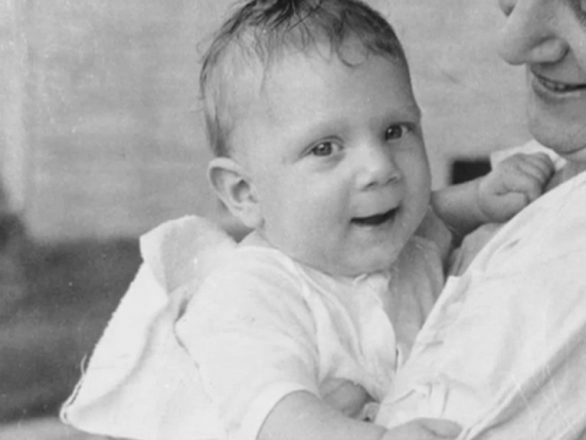 In his 20s, his Swiss father, not Jewish, was an interpreter at the Nuremberg Trials and at the war criminal trials in Dachau. 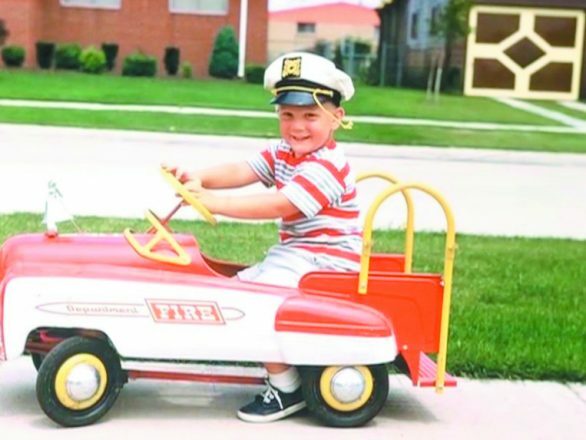 And Steve’s hometown was up in flames when he and his family returned in 1967, after living three years in Belgium where his father worked for Ford. Steve describes himself as an ethnic Jew, not religious, yet he decided later in life to learn more about Judaism as a religion. He studied for a year and a half and had a bar mitzvah in 2015 at Temple B’nai Torah in Bellevue. Many foundations in Detroit are working on intergenerational poverty. Can the Ballmers realistically help turn the tide? 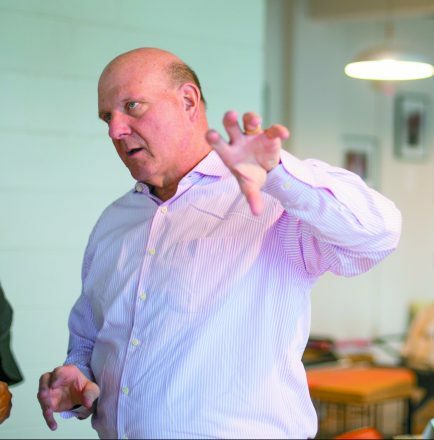 In terms of resources, the Ballmer Group is probably the largest donor working on intergenerational poverty and the related issues in the country. As a result, he says, “We’re able to shine a light on the issues.” And many have nothing to do with the schools, which is why he and Connie’s interests extend into other areas, including criminal justice, education reform, mentoring programs and homelessness. At the end of his interview, Steve says he enjoys returning to Detroit and looks forward to the next Pistons-Clippers game here this winter. So, who’s he rooting for? True. But, hearing his family stories, you know he will always hold a special place for Detroiters. Both a realist and an optimist with a sense of humor, he balances many different, sometimes conflicting ideas. But he’s aware of the gravity of what he and Connie have set out to do.